Find out all the details about the new 2017 Mazda CX-5 when you book a test drive today at Spinelli Mazda in Lachine! Its unique design, capabilities, manufacturing quality, low fuel consumption, as well as its many standard and optional features make it a perfect choice for anyone looking for an SUV. Get behind the wheel and you will see that it leaves the competition, including the 2017 Volkswagen Tiguan, in the dust! The CX-5 is also roomy and offers 875 litres of cargo space behind the second row of seats, compared to 674 for the 2017 Tiguan. 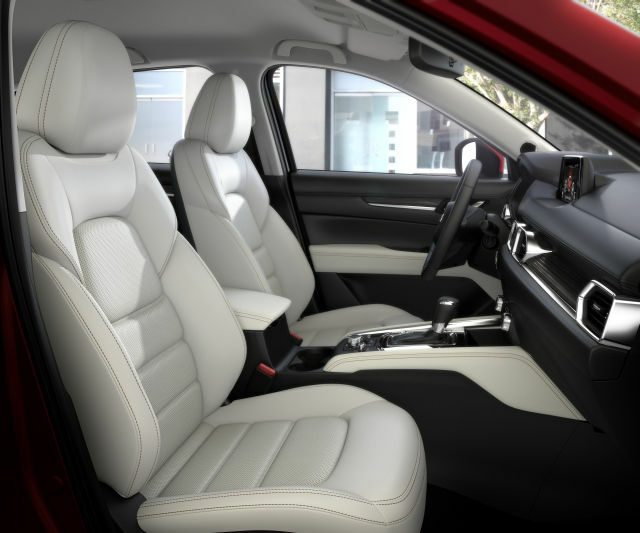 Once they are folded down, you'll have 1687 litres at your disposal in the CX-5, and only 1589 litres in the VW. You can see that you’ll have more room for luggage in the CX-5! 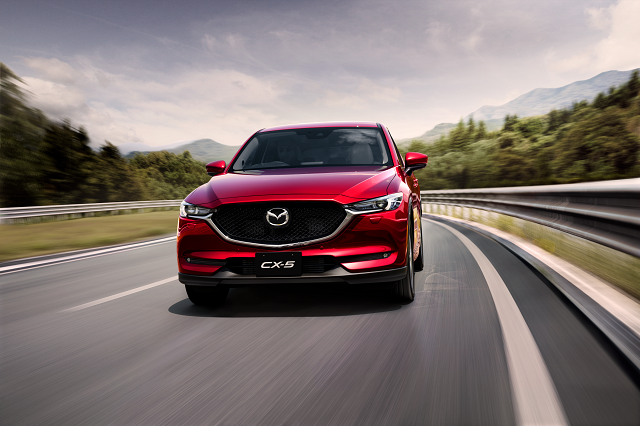 As for security features, the CX-5 is once again ahead of the competition. In fact, its i-ACTIVSENSE suite, which includes features such as radar cruise control, a system that recognizes distances, road sign identification, blind spot monitoring and rear cross traffic alert as well as adaptive lighting system, among others, makes getting around much safer than ever before. Also, the Car Guide gave the CX-5 a 90% for security, while the Tiguan only received an 80%. Under the hood of the CX-5, you'll find a 2.0 L SKYACTIV or a 2.5 L that provide 155 or 187 horsepower respectively. The CX-5 has low fuel consumption, with ratings of 9.4/ 7.4 L/100 km (city/ highway) and 10.2 / 8.3 L/100 km, compared to 11.7/ 9.4 L/100 km for the Tiguan. That's just one more reason to choose the Mazda SUV! 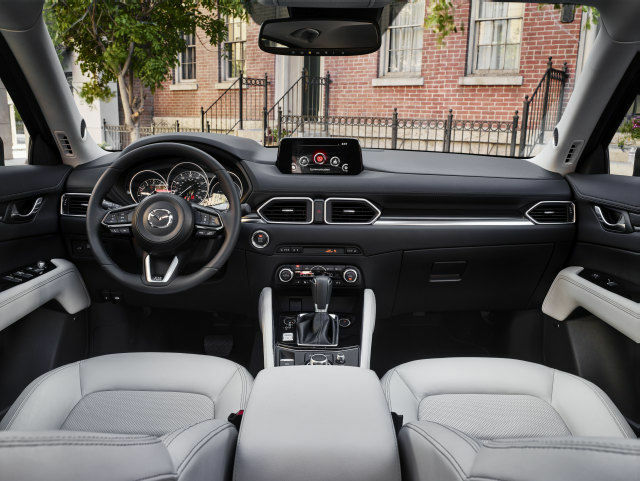 Book your test drive today at Spinelli Mazda in Lachine and take advantage of our exceptional Mazda promotions and our various Mazda financing offers on our in-stock vehicles. Come meet us today at Spinelli Mazda and choose your very own 2017 CX-5!